While the summer solstice has passed us by, our state’s magnificent wildlife continues to abound. There are still a couple more months before the weather shifts into fall and winter mode. You can use this opportunity to design and execute a few ideas percolating in your visions lately while keeping your Rocky Mountain location in mind. 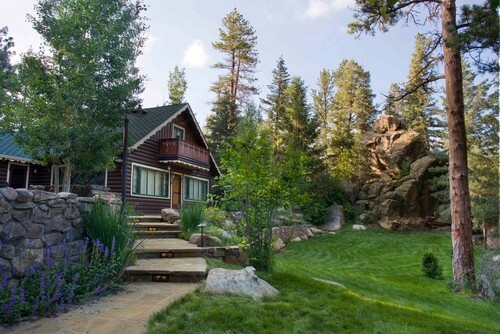 Where you live in Colorado plays a large part in your landscape’s design and function. The wrong layout will result in struggling vegetation, an unreasonable demand for water and using excessive amounts of energy and labor to make things work. On the flip-side, an intelligent landscape design will yield an attractive outdoor palate with relatively minimal effort on your part. The Great Plains. Normally, we think of the Great Plains as “out east.” In truth, 40% of our state is comprised of the same geography that stretches from Colorado’s eastern region through Kansas, Iowa and Oklahoma. Temperature fluctuations are vast, water is minimal and a high-mineral content produces alkaline soil. Fortunately, drought-tolerant plants do well here and the arid climate keeps pests and diseases at a minimum. Postcard Colorado. Otherwise known as the Front Range, this is the region of our state that comes to mind for most of the U.S. It’s a landscape filled with steep mountain slopes, white aspens and lots of snow. 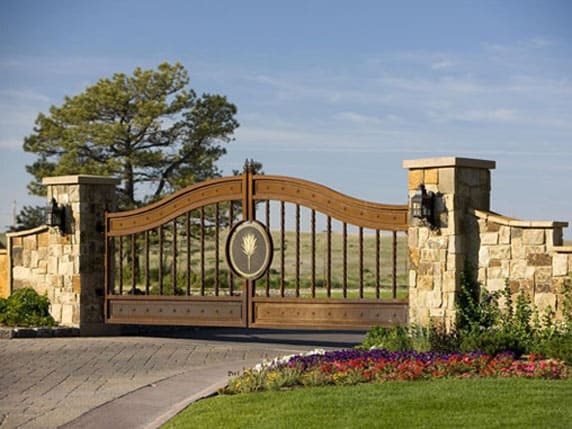 As a result, landscaping in the front range requires an experienced hand. Working with a landscape designer and maintenance team will help you determine which plants will thrive the best in our climate. Out West. From plains and mountains, we move down into the desert where xeriscapes are a must. 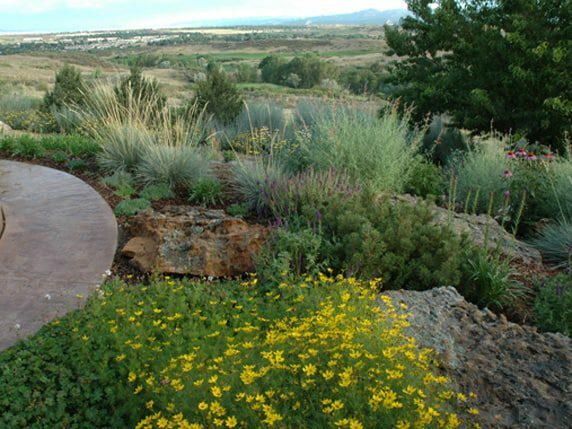 Without a xeriscape approach, desert landscaping requires large quantities of irrigation. Stick with plants that do well in exceptionally dry climates and keep in mind that broad-leafed trees and shrubs will require irrigation. 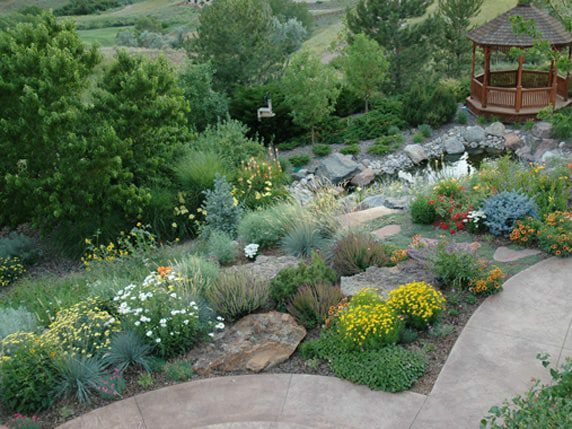 Contact Lifescape Colorado to design a geo-centric plan for your landscape today.